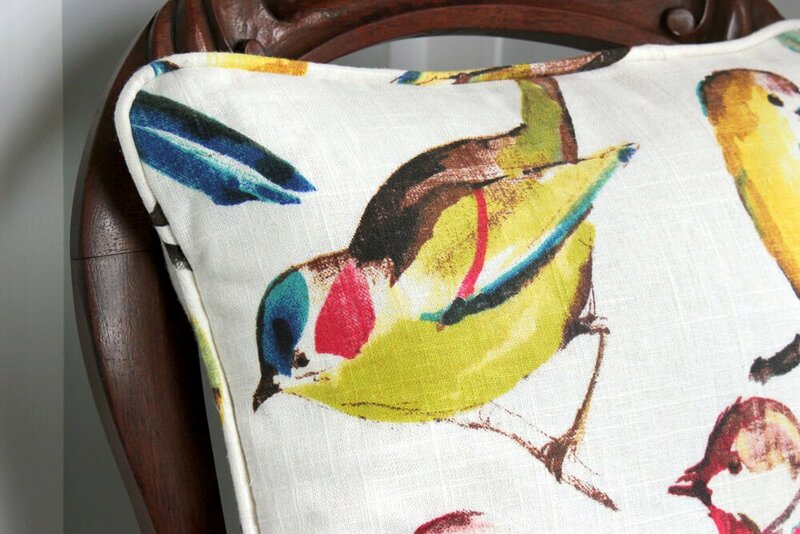 Piping adds a nice finishing touch to projects like cushions, pillows, or upholstery. The cord that is inside piping is referred to as cording, welting, piping cord or welt cord. It comes in many thicknesses. 1/8” is a common size. The core can be made of various materials like cotton, cellulose paper fiber, or foam. Cotton will be soft and flexible, the foam is stiffer, and the cellulose (used in this demonstration) is in between. I’m making a throw pillow to show how to sew the piping. 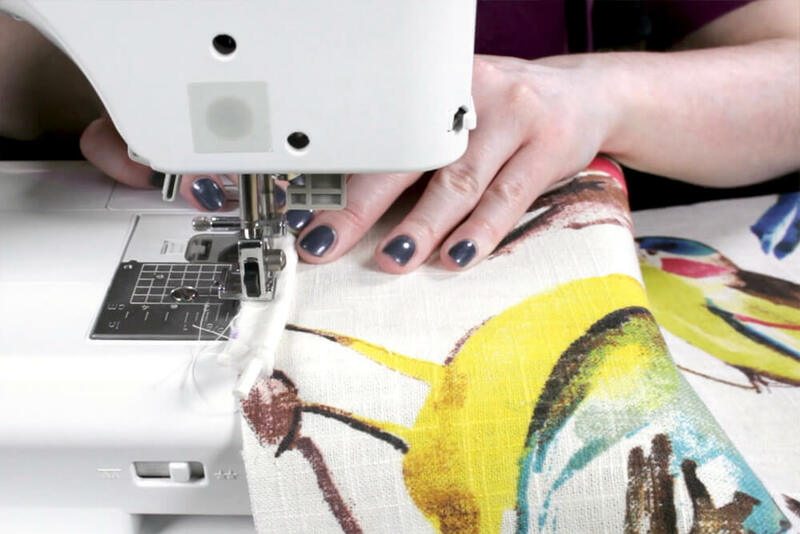 See How to Sew an Envelope Pillow with Piping for the full tutorial. 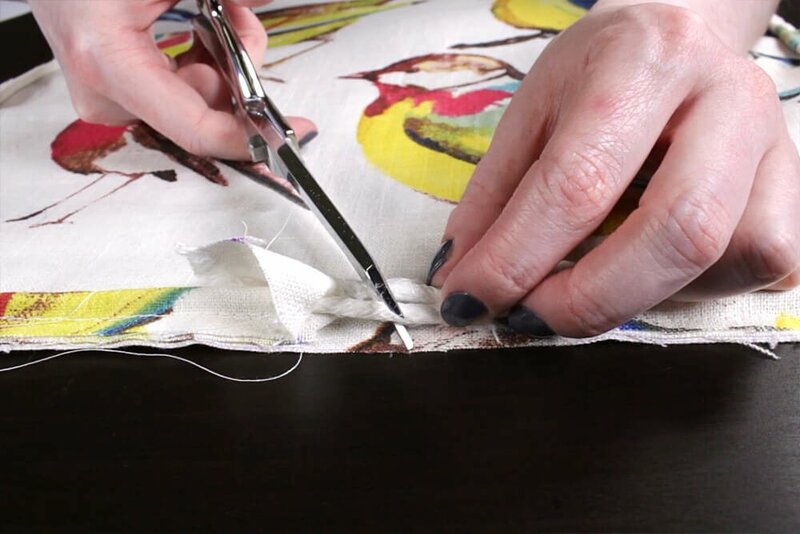 Piping is often cut on the bias, which means diagonally, because that gives the fabric more stretch for wrapping around corners. But if your project doesn’t require precise curves, cutting straight across works fine and saves yardage. First cut out strips of fabric. 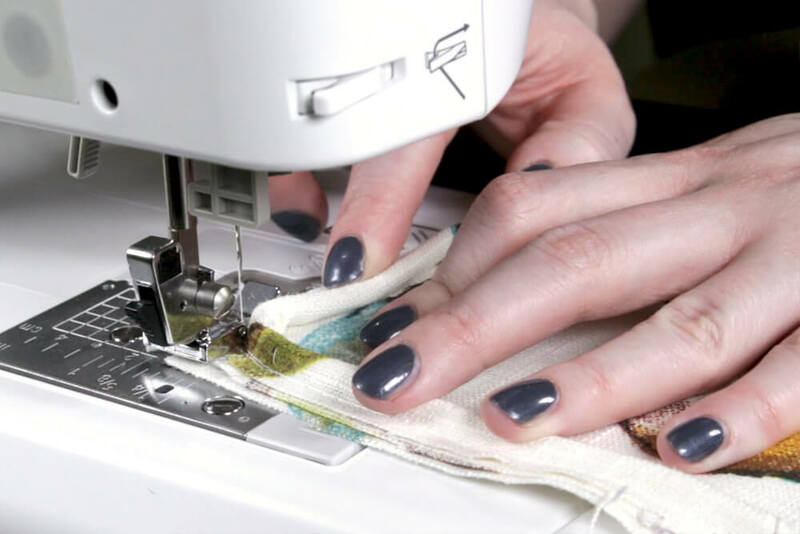 To determine the width to cut the strips, take the width of your cording, add the seam allowance you’ll be using, then multiply that number by 2. 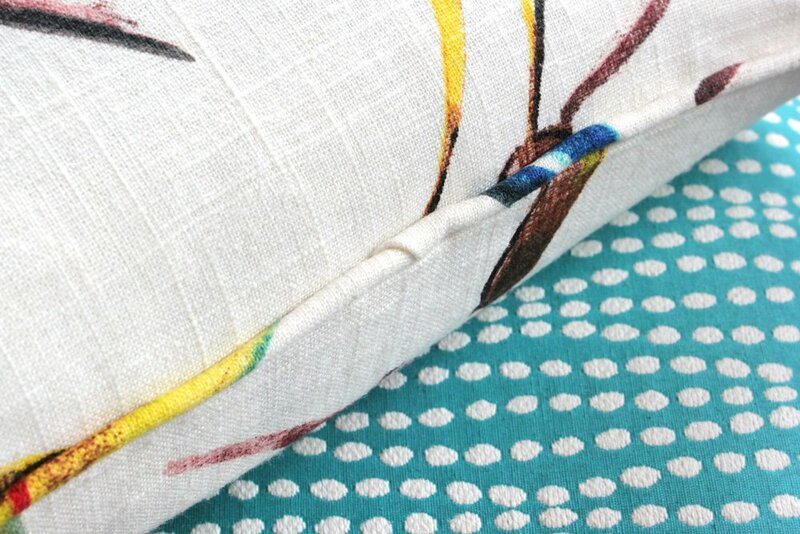 This is 1/8 inch cording and the seam allowance will be 1/2″, so the strips are 1 1/4″ wide. For the length, measure enough to wrap around the perimeter of your project plus a couple extra inches. You may need to cut multiple pieces. 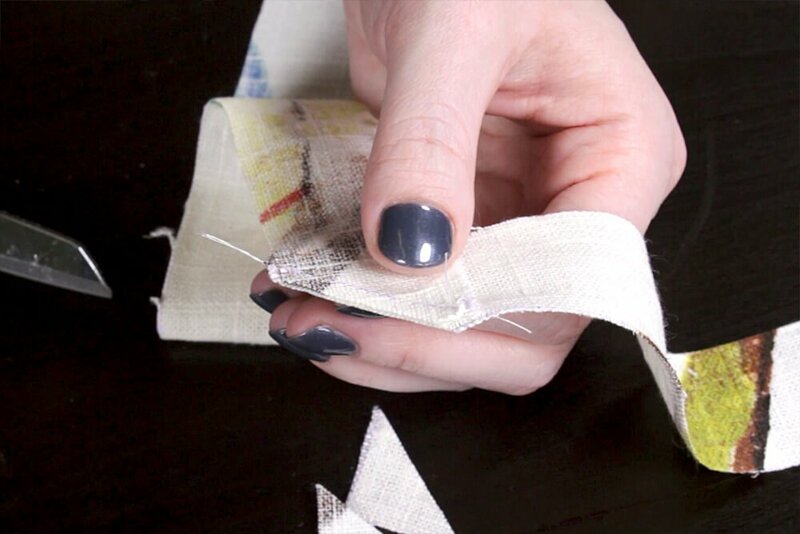 Sew the strips together diagonally for a smoother transition. At the end of one of the pieces, mark a 45 degree line, on the wrong side of the fabric. Line up the end of another piece perpendicularly with right sides facing, so that when opened it creates a continuous piece. 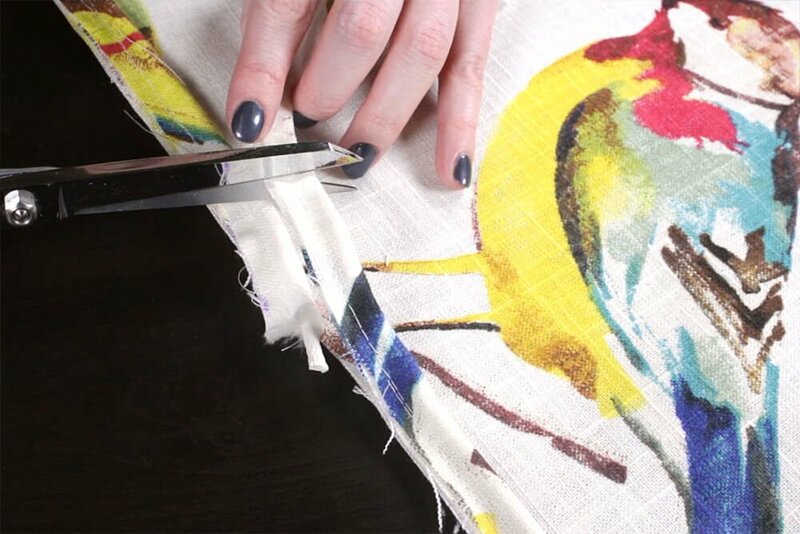 Sew along the line and cut off the excess fabric. 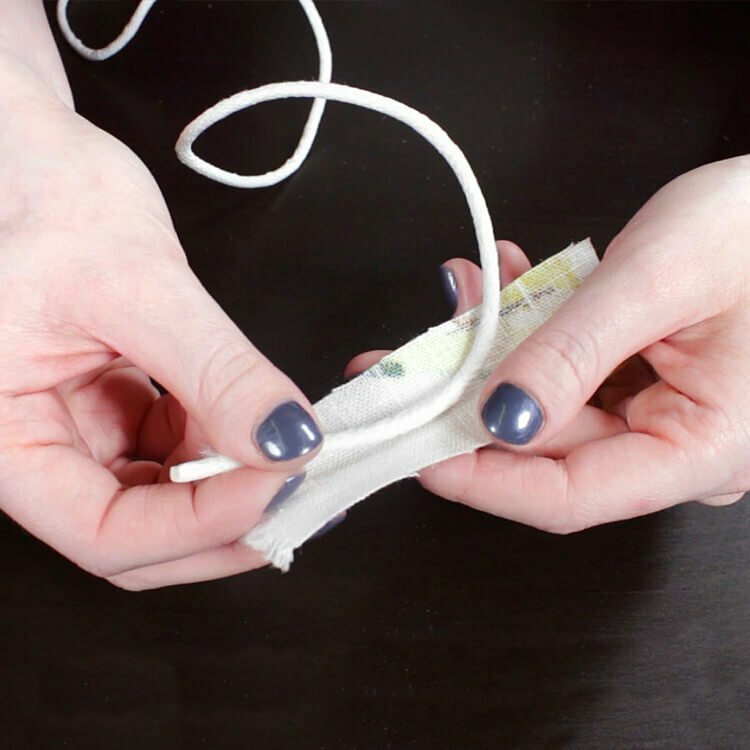 To make the piping, put the cording in the middle of the strip of fabric and fold the fabric in half. 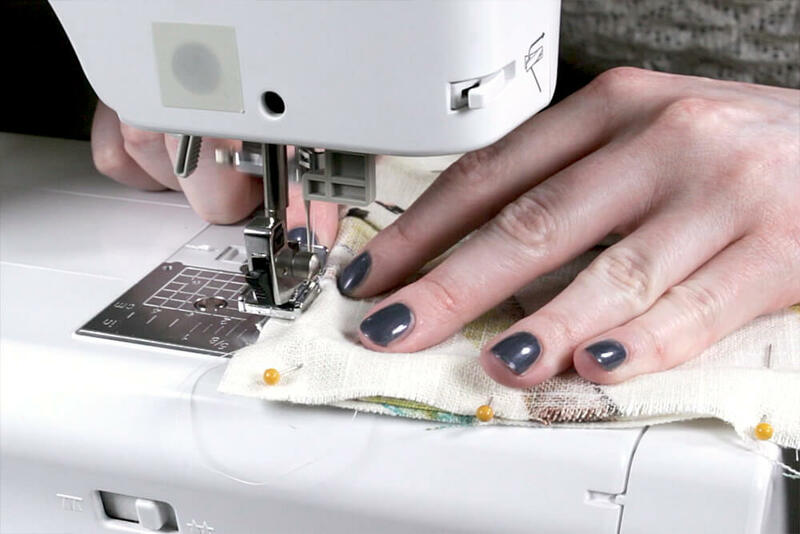 Attach a zipper foot to your machine, or some machines have a foot specifically for piping. Put the cording to the left of the foot and sew. You don’t want to sew too close or else this seam will be visible once you sew it to other pieces of fabric. 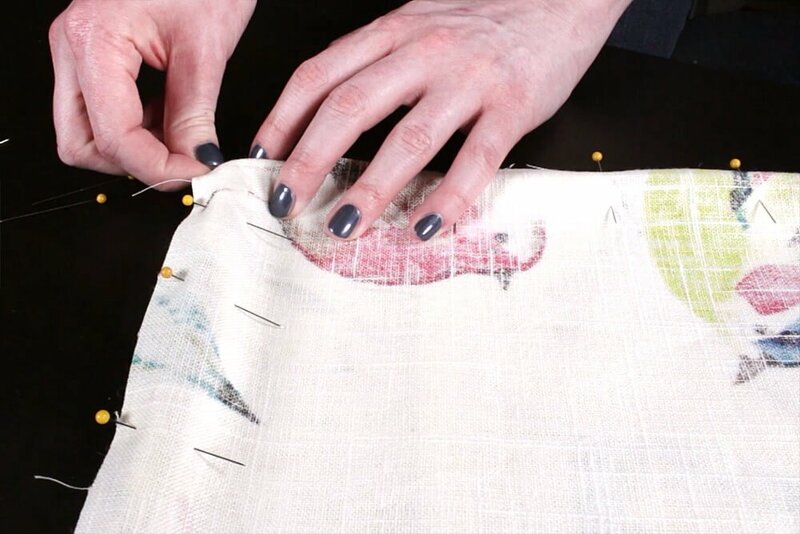 You can use a long stitch length here. 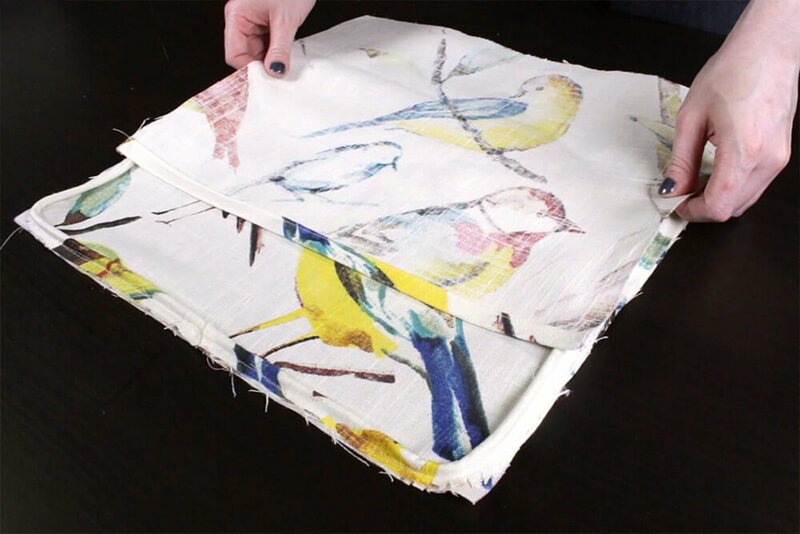 Next sew the piping to your other project pieces with the right side of the fabric facing up. Leave a couple inches of piping loose at the beginning. Match up the edges of the fabric and the piping and start to sew. 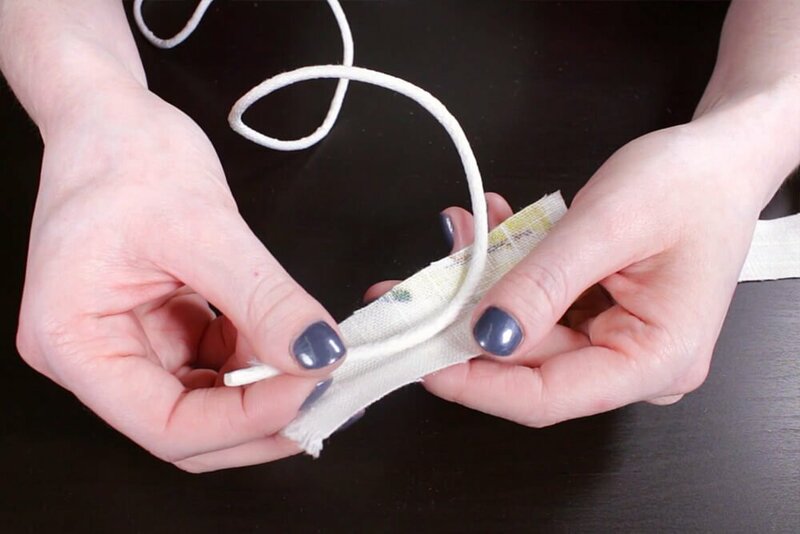 You can continue to use a long stitch length here, and again don’t sew too closely to the cording. When you reach a corner, make a couple of cuts into the edge of the piping. This will make it easier to turn the corner. 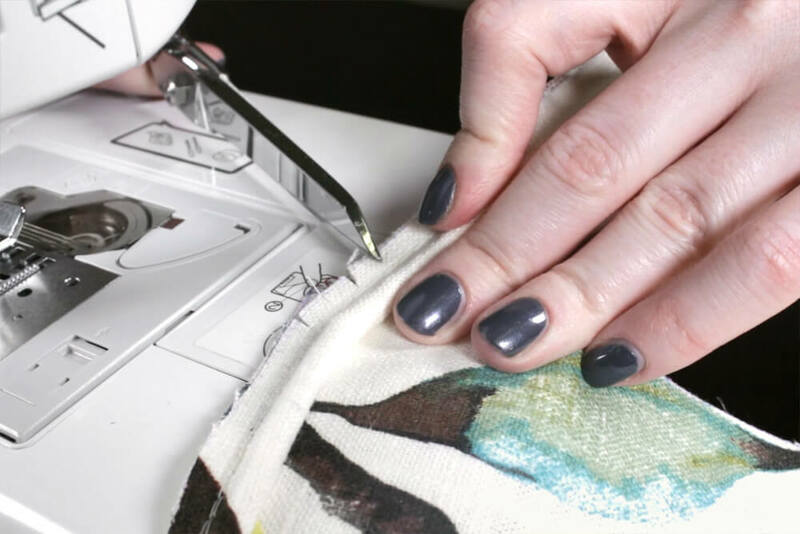 With the needle down, lift the foot to make adjust the fabric as you go around the curve. Continue to sew until you’re a couple inches from the beginning. Cut the piping a little long and rip open the cover a couple of inches. Cross the two ends of the cording and cut through, so that they meet without overlapping. 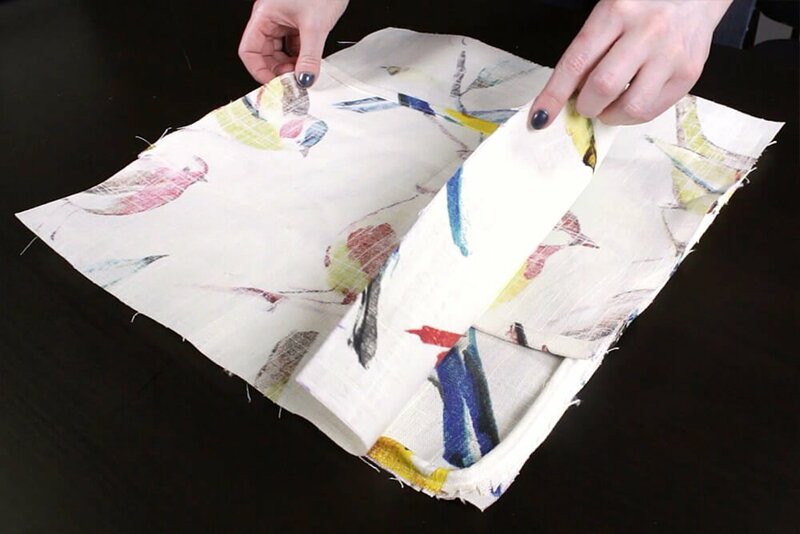 Fold over the end of the loose fabric diagonally and wrap it around the other end of the piping. Finish sewing it to the fabric. I’m overlapping two pieces of fabric here to create the envelope opening on the back of the pillow. 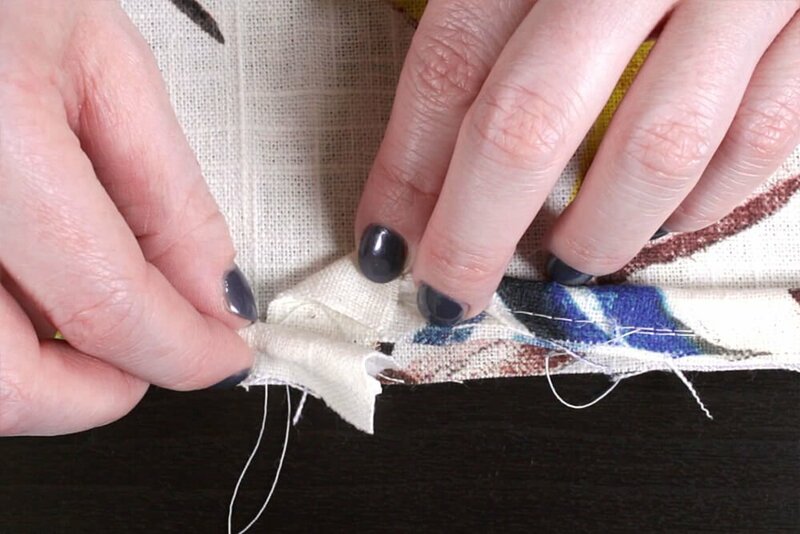 Finally, take your other piece of fabric and place it on top of the piping with the right side facing down. Pin it together. 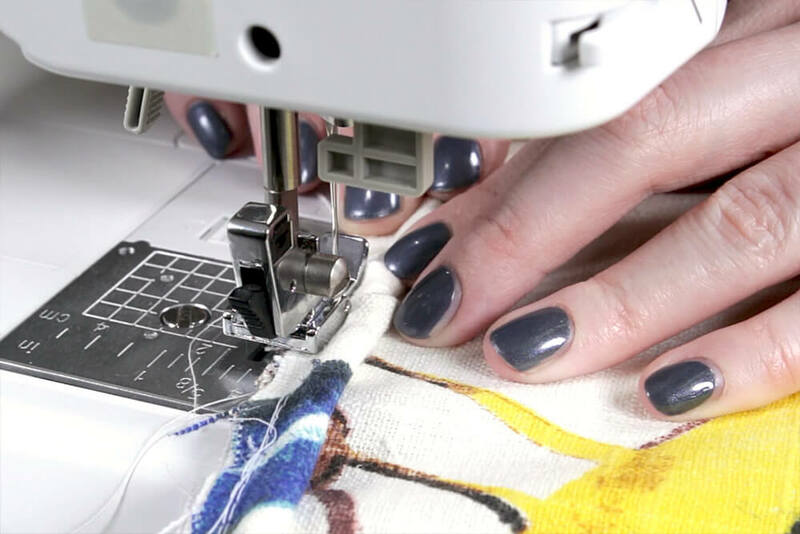 Change the stitch length back to a standard length and sew with a half inch seam allowance. This time sew close to the piping with the zipper foot for a tight fit. You can’t see the piping but you’ll be able to feel where it is as you sew. Open the fabric and the piping is complete. Find piping in a variety of materials and sizes here. 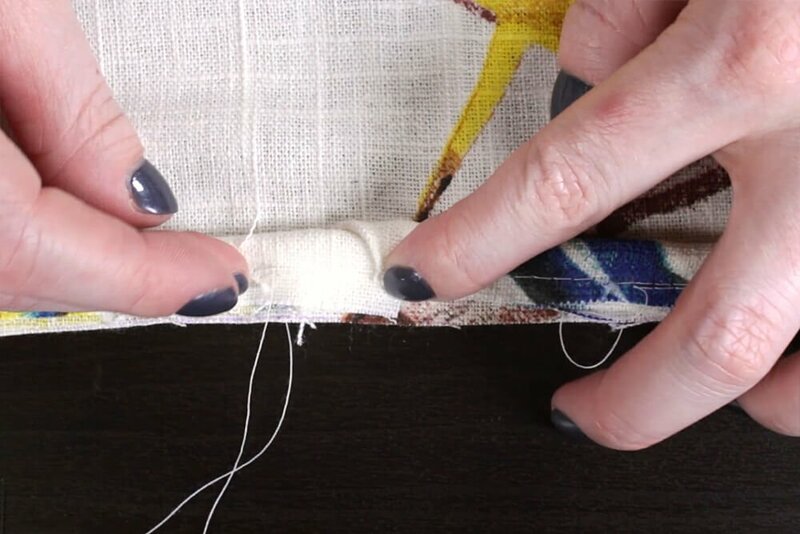 How do I measure and cut fabric for a envelope pillow?